Billy Ward, Vice President of Arlington Construction Services (ACS), oversees the construction and management of several projects for ACS. 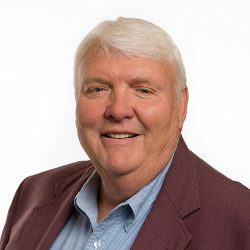 Billy’s more than forty years of construction experience coupled with his loyal and long-standing relationships with superintendents and subcontractors, result in reliable budgets and increased value for his clients. Before joining ACS, Billy was a partner in several construction businesses including a residential home building company, concrete placement company and a furniture manufacturing company. Additionally, Billy worked in the industrial and commercial construction industries. He joined ACS in 1987 as a carpenter and concrete finisher. Since then, Billy has held several positions within the company including Foreman, Superintendent and Project Manager. In 1996, he became a Senior Project Manager and then later a Vice President of ACS.